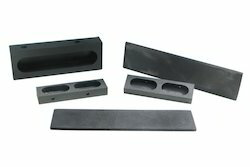 We offer Carbon Blades for vacuum pumps & of printing machines. The Carbon Wiper Blade manufactured by us have a unique combination of physical and chemical properties, which makes them most suitable for fast production WFE’s. The blades are available in different sizes and specifications and have good mechanical and sliding properties. Availbe carbon steel hexa blades and bendsaw baldes for metal cutting and wood cutting. We offer Carbon Vanes which are used in Vacuum Pumps. The grades offered are as per International Qualities and comparable with the best available all over the world. longer than traditional Carbon blades. We are renowned for the Carbon Saw Blades that we offer our appreciative clients. The range is highly durable and dimensionally accurate. We also offer hacksaw and power hacksaw, which are used to cut wood and mental. Made from high grade carbon steel, these blades are resistant to wear and tear. We offer the range in varied specifications and at industry leading prices. Used in Dry running rotary compressors and Vacuum pumps, Printing machine compressors, Spray paint equipments, Food process equipments, Wet running vane pumps and meters, Fuel tanker meters, Packing machines, Automatic diesel fuel pumps. Enhanced Carbon Content For Improved Performance in Critical Applications. Brand: mega carbon pvt ltd.
Enriched with years of experience in the industry, we are engaged in offering 2C Carbon Fibre Blade. 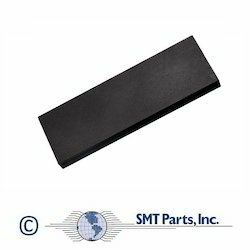 Try square medium is made of Carbon steel blade with cast iron stock for carpentry use. It can measure 45° and 90° angles.